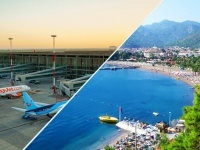 From Antalya to Side - taxi, transfer or bus. Which is better? You arrived to Antalya but you have to go to Side. 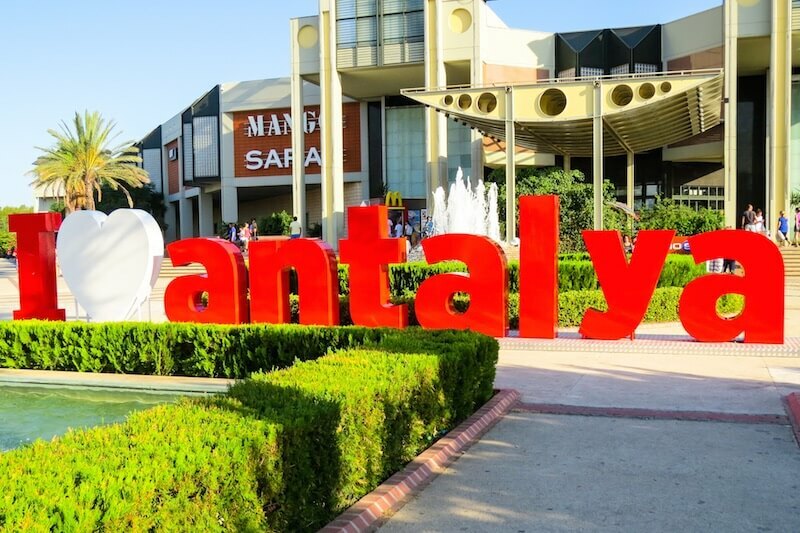 This popular Turkish resort town is situated in 70 kilometers from Antalya and there are many ways to get there. The trip by cab is the most comfortable, but nevertheless it is the most expensive variant. You can book cab beforehand through the Internet or by phone, or you can use taxi in the airport. This trip to Side will cost you about $80 (this price is fixed and you can discuss it beforehand), if you go in night time you should pay extra 50%. You can find this post very easy. You just need to turn right, after you pass international terminal. Then you will see the parking place. You will notice cabs at once, they are yellow. There is an employee who knows few languages at this stop. You can answer him different questions about the trip. The trip will take you about an hour. It’s cheaper way to get to Side. The price on this individual transfer begins from $52 and it depends on the class of the car. It’s very comfortable, because the driver will meet you in the airport with the tablet and he will take you to the place of your destination in one hour. You can book group transfer from Antalya to Side. There are many companies that can offer you this kind of transfer. There is one disadvantage that you will need to wait while the bus will be full. The price begins from $25 and it includes 1 seat and 1 package. It will take you about one and half an hour to get to Side. The trip from the airport to Side by bus or minibus (dolmush) is the most economical variant, but it’s very difficult because you will do few transfers. In this case you have few variants. First of all you can use bus service from Antalya to Alanya (the bus goes every 30 minutes) that goes from terminal 1 in the airport (the price is about 20 liras and it will take you about 45-60 minutes). You should alight from the bus near the shopping centre “Migros” that is situates on the crossroad (one road goes to Alanya, another goes to Manavgat. You can go to Side by cab or dolmush. The cab stop is near the petrol station. The bus stop is situated in 50 meters from the crossroad. They go every 15 minutes and it costs about 3-4 liras. 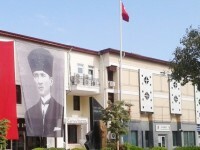 The trip by cab will be about 15 liras and it will take you about 15-20 minutes. The second way is trip from the airport to the bus station in Antalya. You will need bus №600 (it goes every 2 hours) or Havas’ company goes (it goes every 30 minutes). They depart from terminal 1. The trip by public bus costs about 4 liras and it will take you about one and half an hour. The trip by Havas’ buses cost about 10 liras and it will take you about one hour. You can buy this ticket in the cash office. These buses go every 30 minutes. The price is about 13 liras and it will take you about one hour.